According to the agreement reached between Red Lion Coatings International Co Ltd and KCI of Korea, the two sides have decided to jointly fund a joint venture coating company in Beijing. The business scope of the company is to conduct systematic production and sales of paint products and provide related after-sale services. The equity ratio between the two sides is 50:50 and the specific amount of investments will be defined in the joint venture contract. “Swallow Brand Paint, Kunsul Chemical” has been keeping its top record in paint industry in Korea for 60 years from the time it was established in December 1945. From the time when Korea was declared independent from Japanese colony, when there were barely a few industries, we started to develop Coating Technology and helped rebuilding of the nation. As one of the results, we developed Alkyd Resins and developed the area of Synthetic Resins for Coating. At the same time, we have been pouring our efforts to invent and improve through our own studies and adoption of advanced technologies from overseas. Currently, we are manufacturing about 20,000 different kinds of coatings such as decorative coating, general industrial coating, coil coating, can coating, marine and heavy-duty protective coating as well as high technology industrial coating. With the inauguration of the new manufacturing facility, we have added ability to meet the needs of consumers and it also has increased ability to serve consumers with better technical support and above all, with better quality products. Most of all, our technology has been accredited for ISO9001 which also means our technology is being recognized in many different countries all over the world. Moreover, we are preparing to acquire ISO14001 for environment-friendly industry. Kunsul Chemical will do our best to develop and invent new technology and better service to consumers aiming to be the leader of 21th century’s paint industry. Zhenhai Refining and Chemical (ZRCC), a subsidiary of Sinopec (China Petroleum and Chemical Corp.), has get the nod from Chinese NDRC to build an 800,000 ton ethylene cracker in Zhenhai, Zhejiang, province. ZRCC was considering building a SM/PO unit and MEG facility as parts of the ethylene project. If this route is chosen, then the facilities would produce 500 000-600 000 tonne/year of MEG, around 800 000 tonne/year of styrene and 360 000 tonne/year of PO. The project will rely on the large scale refining base in Zhenhai Refining and Chemical Company, which is located in Ningbo, Zhejiang Province. After its completion, the chemical companies in the Ningbo Chemical Industry Zone will get convenient materials supply. On March 17th, 2006, the National Development and Reform Commission announced that it has approved the 1 million t/a ethylene project in Zhenhai Refining & Chemical Co., Ltd., located in Zhenhai, Zhejiang province. According to the whole plan of China Petrochemical Corporation (Sinopec Group), the project is scheduled to be started construction in 2006 and completed in 2009. Zhenhai got approval of 800,000t/y ethylene project from NDRC in 2004 and after that they changed their plan to 1,000,000t/y. The big ethylene project was expected to cost 17.78 billion Yuan (about $2.14 Billion); the project will also integrate 450kt/year gasoline hydrogenation, 100kt/year butadiene extract, 300kt/year aromatics extract, 300kt/year PE, and 840kt/year ethylbenzene projects. The start-up date has not been revealed, but construction of a plant as such size usually takes at least three years. Feedstock for the project would come from the company’s refinery. ZRCC is the biggest refinery in China. It has the capacity of 16m tonne/year currently, and would expand its 16m tonne/year refinery to 20m tonne/year in mid-2006. The expansion would provide sufficient naphtha to feed the proposed cracker. Zhenhai currently imports most of its crude oil from the Middle East. In the past, media reported that Zhenhai has held talks with Arco Chemical and Lyondell Chemical Company about a cracker project, but those discussions were terminated in 1999. According to the report from Chinese media, the 800kt ethylene project will be build by ZRCC only instead of by a joint venture. ZRCC has completed the para-xylene (450,000 tons) and polypropylene (200,000 tons) plants, and has begun operating them at last year. Saudi Arabian petrochemical giant SABIC is in talks with China's Dalian Shide to build an integrated refinery and naphtha cracker complex in Dalian, China, a source close to SABIC said Friday. The two sides were conducting a feasibility study on the project and had yet to reach a decision on the scale of the facilities. Initially, SABIC was seeking an equal contribution of $2-bil from each side for the project. The feasibility study is expected to be completed by the end of 2004. If the project proceeds as planned, the refinery-petrochemical complex would likely be completed by 2008. Jiangsu Meilan Group and 3M Dyneon of the United States have recently started cooperation in the establishment of a PTFE　(四フッ化エチレン) production base in Meilan Group. The project will facilitate the overall improvement of product quality in the fluorine plastic processing sector in China. 3M Dyneon will use factory buildings, equipment and workers in Meilan Group to produce PTFE. The production will start in around 15 months and products will be sold to different regions in the world. 3M Dyneon will make long-term commitments to Meilan Group in developing advanced fluorine chemical technologies and strengthening the leading position of fluorine-containing polymers in China. Jiangsu Meilan Chemical Plant (Group), a state-owned large-scale chemical enterprise. With the continuous reform and innovation for several years, the company has formed a product chain based on the chlorine alkali chemical products and headed by the fluoro chemical products. She has become a very important base for Chinese organic fluorine products researching, developing and production. In 2000, she was recognized as a national major high-tech enterprise by the Chinese Scientific Institute and the Ministry of National Science and Technology. The main products of the company are : 1) OrganicFluoro-material products: polytetrafluoroethylene resins with the trademark of “Meilan”, hexaflooropropylene, vinylidene fluoride, polyvinylidene fluoride (PVdF), fluoro elastomer F26; 2) Fluoro-refrigherant Products: industrial monchlorodifluoro-methane and substitutes for Freon; 3) Chlorides: methyl chloride (industrial dichloromethane, industrial trichloromethane). 4) Chlorine-alkali products: industrial sodium hydroxied, industrial synthetic hydrochloric acid, industrial liquid chlorine, industrial hydrogen, p-toluidine etc.. The facility will utilize DuPont aniline technology, which is available to KBR through a licensing alliance with DuPont, to produce high quality aniline product. KBR will also supply critical imported equipment for the project, as well as training and field services. KBR is the engineering and construction subsidiary of Halliburton (NYSE:HAL). Aniline is a chemical intermediate used to make MDI (methyl diphenyl diisocyanate), which is primarily used to create polyurethane foams. Jinxi Natural Gas Chemical Co Ltd recently announced the production-starting of its 15 000 t/a DMC line in Liaoning Province. Simultaneously, the methanol expansion project from 300 000 t/a to 600 000 t/a was also completed. Liaoning Huajin Chemical Group, composed of Liaohe Group and Jinhua Group, is a special large-scaled chemical-industrial enterprise group. In Jan. 1997, Liaohe Group issued successfully Type A stock 130 million stock-shares, and then invested all the mobilized capital on Jinxi Natural Gas Chemical Center Plant, thus realizing the trans-regional combination of the two large enterprises in Liaoning Province. 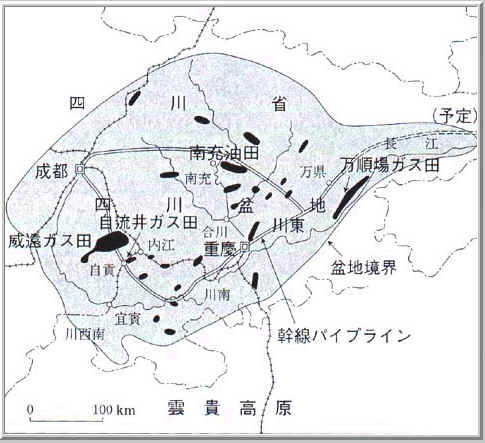 In Jan. 1950, Jinxi Chemical Plant was set up on the base of Jinxi Refinery Plant left over from former Japanese and Koumintang military, and subsequently recovered and expanded for several times. After several decades' development, especially the recent twenty years of the implementation of reform and open policy in China, it has grown up to a chemical complex enterprise group which mainly runs chemical fertilizers, polyolefin resins, chlorine&sodium hydroxide, plastics processing, fine chemicals, and commercial trade, what it produces includes 6 types in more than 100 grades of products, its annual urea production capacity has reached 1.1 million MTA, being the largest chemical fertilizer producer, and its chlorine & hydroxide production capacity 280 thousand MTA, ranking the leading position in China, some products such as fertilizer, catalyst and caustic soda etc. are often exported abroad. China has five years to stop production of four pollutantstargeted as part of international efforts to clean up the environment. The Stockholm Convention lists 12 persistent organic pollutants (POPs) that should be eliminated to preserve the environment. Five of them are still produced in China. The Stockholm Convention, signed by 151 countries and ratified by 83, aims to eliminate POPs, which are highly insidious pollutants. In China, the convention took effect yesterday, but the country has applied for immunity which would allow it to continue producing DDT, hexachlorobenzene (HCB), chlordane and mirex for another five years, said Yue Runsheng, vice head of international co-operation under the State Environmental Protection Administration. That would give China five years to stop production and use of them. China can apply for another five-year term, but no further exemptions are allowed. The country has been making efforts to control the five pollutants, said an administration source. DDT is mainly used in pesticides while small amounts are used in mosquito repellent, incense and some medical storage. There are two DDT manufacturers in China, with a total annual output of about 4,000 tons, said Zang Wenchao, of the administration's pollution control department. Only one company still produces about 2,000 tons of HCB every year, Zang said. HCB is used to produce sodium pentachlorophenate, a medicine. Chlordane and mirex are both used to kill destructive white ants and are more widely produced. There are nine chlordane manufacturers with an output of 500 to 800 tons per year, while up to 30 tons of mirex are put out by five producers. Still other POPs listed in the convention for which China is not seeking immunity, may be harder to eliminate. PCBs are one, particularly considering the amount in circulation is difficult to pinpoint because electrical components with PCBs are still circulating but no longer in production. Zang said China stopped production years ago and most electrical equipment containing PCBs has been discarded. Daqing Petroleum and Chemical Group (大慶石油化工集團) is investing 38 million yuan(HK$35.7 million) more to produce vinyl acetate in a joint venture project in Mudanjiang city in Heilongjiang province(黒龍江省牡丹江). The Mudanjiang Dongbei Chemical Engineering Company(牡丹江東北化工有限公司), a joint venture between Daqing Petroleum and Daqing Gaoxinqu (高新技) Qinglian Petroleum and Chemical, is planning the second phase of the Mudanjiang Plant upgrade. Daqing Petroleum holds a 55 per cent stake in the joint venture and has already injected 50 million yuan in the first phase of the project. Phase II will begin in 2005 and, upon completion, the plant is expected to produce 45,000 tons per annum of vinyl acetate, an organic chemical used in paper making, construction and textile industries. the mass production of Mudanjiang vinyl acetate plant will be commenced in the fourth quarter of 2004 and the annual production capacity is expected to reach 15,000 tonnes. Upon the completion of the (phase 2) project, the production capacity of the vinyl acetate plant is expected to be further enhanced upto 45,000 tonnes per annum. the company adopted a production method using calcium carbide, which helped lessen reliance on high crude oil prices, and also made it more competitive against companies that used the acetylene methodology. On 18 Nov, the launch ceremony of Sinopec Qingdao Refining and Chemical Co.,Ltd. was held in Qingdao. The former Vice Chairman of CPPCC, Mr. Chen Jinhua, Deputy Secretary of Shandong provincial CPC Committee and Party Secretary of Qingdao, Mr. Du Shicheng, Vice Major of Shandong province, Mr. Zhang Zhaofu, Chairman of Sinopec Mr. Chen Tonghai, Vice Chairman and President of Sinopec, Mr. Wang Jiming attended the launch ceremony. Qingdao Refining Project is the key petroleum and chemical project in China，and the first ten million tonnes level refinery newly established by Sinopec in 21st century, playing an important role in adjusting the domestic refining industry structure, improving international competence of the refining enterprises and well boosting the local economic development. Qingdao Refining Project was designed in accordance with the concepts and visions of 21st century refinery with the salient characteristics of the scale economy, advanced technology, leading friendly environment and etc. From the process of raw material, processing, to product refining, the whole production line adopted the hydrogen refining process technology. The process installation and system engineering adopted the integrated energy-saved expertise. In the aspects of the product structure, quality and public engineering consumption, friendly environment index and etc. rank at the leading position domestically, meet the international advanced standard. The establishment of Qingdao Refining and Chemical Co., Ltd. marks the Qingdao Refining Project has been embarking on an accelerating construction path. From sources, the project is expected to be completed and put into operation in the first half of 2007. After going on stream, the annual refining capacity of the imported sour crude is estimated to be 10 million tonnes, the production of the refining oil over 7.6 million tonnes, it is estimated that over RMB 20 billion sales revenue will be realized, meanwhile, the product quality and every economic technology index will be improved to meet Euro �V and international advanced standard respectively. Qingdao Refining Project received great support from the related departments of the State Council, Shandong provincial government and CPC committee and Qingdao city. In Feb 2001, Sinopec group, Shandong provincial government and Qingdao municipal government signed the “Letter of Intent for cooperation on Qingdao Refining Project”. Afterwards, the State Council approved the project proposal and in June 2004 formally approved the project feasibility report. In addition, in order to better provide storage and transportation auxiliary service for Qingdao Refining Project, Sinopec and Huarun Petroleum and Chemical (Group) Ltd. signed the “Agreement on Shares transfer of Qingdao Qirun Petroleum and Chemical Ltd.”. The Company acquired the all shareholdings of Qingdao Qirun Petroleum and Chemical Co., Ltd. held by Huarun Petroleum and Chemical (Group) Ltd.
Qingdao Refining Project was invested by Sinopec, Shandong International Trust Investment Company and Qingdao International Trust Investment Company, which held 85 per cent, 10 per cent and 5 per cent equity respectively. Total investment of the project is estimated to RMB 9.713 billion (including US $0.177　billion). Construction of the project is expected to be completed in 2007. Qingdao Qirun Petroleum and Chemical Co. Ltd., established in 1993, was invested by Sinopec and Huarun Petroleum and Chemical (Group) Ltd., which held 59.5 per cent and 40.5 per cent equity respectively. The company was put into production in August 1996, and its principle operations are storage, transportation and transfer of crude, refining oil products and petrochemical products. Eastman Chemical Company (NYSE:EMN) announced today that Qilu 斎魯Eastman Specialty Chemical Ltd. (QESCL) has begun operations in Zibo, Shandong Province, People's Republic of China. QESCL is a joint venture between Sinopec Qilu Petrochemical Company and Eastman Chemical Ltd., a wholly owned subsidiary of Eastman Chemical Company. The new plant produces Texanol ester alcohol and TXIB plasticizer. The plant is able to meet the total demand of Eastman's current customers for these products in China. Construction of the plant began in September 2003. This investment is Eastman's second major project in China in the specialty chemicals markets. It follows the establishment of Nanjing Yangtzi Eastman Chemical Ltd., a 50-50 joint venture with Yangtzi Petrochemical Industrial Corporation established in 1998 to manufacture Eastotac hydrocarbon tackifying resin for adhesives. 2-ethylhexanol (2-EH) and 19 600 tonne/year of iso-butyraldehyde. The technology was developed by British company Davy Process Technology with cooperation from Union Carbide (Dow Chemical) and Johnson Matthey. The propylene feedstock is sourced from the company's ethylene complex. Sinopec Qilu Petrochemical took over the plant from the contractors on 30 October 2004 and the plant was already operating at full capacity. The products of this plant will be mainly used to produce DOP plasticizer, which will be used either captively or sold in the regional market. A little earlier, the jv of Eastman and Qilu Petrochemical - Qilu Eastman Specialty Chemical Ltd. (QESCL) - has also begun operations at its $30m oxo derivatives plant in Zibo. The oxo derivatives plant produces Texanol ester alcohol and TXIB plasticizer; the plant would meet the demand of Eastman's current customers for these products in China. The LP Oxo (TM) Low Pressure Oxo Process is the world's leading process for the production of oxo alcohols from olefins. It is the result of a collaboration between Davy Process Technology (DPT) and Union Carbide Corporation that began in 1971. To date, this process technology has been adopted in 27 projects in 14 countries, representing most of the world's oxo alcohols capacity licensed during the last 20 years. The LP Oxo technology has been awarded the Kirkpatrick Chemical Engineering Award as well as an R&D 100 Award for a new generation of catalysts. Today, the process is licensed by Davy Process Technology in conjunction with The Dow Chemical Company, following its acquisition of Union Carbide in February 2001. Dow has extensive commercial experience with this technology and operates it in four manufacturing facilities worldwide. While DPT provides plant design services and Dow provides proprietary catalysts, the two companies jointly provide operator training, start-up assistance and ongoing technical support to licensees. The LP Oxo Process involves the reaction of propylene with synthesis gas (a mixture of hydrogen and carbon monoxide) to produce butyraldehydes. Usually the normal butyraldehyde is converted to 2-ethylhexanol (2EH). It is also possible to convert normal or iso-butyraldehydes to normal and iso-butanols and other derivatives. 2EH is used mainly in the production of plasticizers to add flexibility to PVC, while butanols and their derivatives are used extensively for their solvent properties. Davy Process Technologies Limited (DPT) has as its core business the supply of licences to operate advanced process technologies related to the manufacture of Oil and Gas, Petrochemicals, Commodity Chemicals, Fine Chemicals and Pharmaceuticals. To sustain this business the company undertakes a programme of continuous development to improve its technology portfolio. Davy Process Technologies (Switzerland) AG (DPT-CH) also offers proprietary process technologies together with specialist equipment, development capabilities, front end engineering and turnkey project management to the Fine Chemicals and Pharmaceutical Intermediates markets. China's Zhejiang Yisheng Petrochemical Co Ltd has scheduled to launch a second purified terephthalic acid plant in Ningbo at the end of 2006, a company source said Tuesday. The capacity of its new PTA unit will be similar to its first plant, of 530,000 mt/yr. The company was in the midst of procuring equipment for the plant, with the process expected to take up to 18 months, the source added. Similarly, the company would buy paraxylene feedstock for plant, with the output expected to be diverted to its affiliate companies. Zhejiang Yisheng is a 50/50 joint venture between two polyester producers, Hengyi and Rongshen, which are based in Xiaoshan蕭山, in Hangzhou杭州. The two companies operate a total of 1.1-mil mt/yr of polyester capacity in China. Zhejiang Yisheng (浙江逸盛) Chemical started up its 530 kt/a PTA plant at Ningbo on 18 March, a few weeks later than the planning. Industry sources suppose the delay of this plant was due to engineering problems. According to the company's original plan, the starts-up date should be in early March. The plant is now operating at 70% of capacity, and the company will raise the operating rate gradually to 100% of capacity by early April. The PTA plant is based on Invista's technology, it will have a maximum PTA capacity of 600 kt/a. All of the PTA output would be supplied to its two shareholders which operate polyester facilities in Hangzhou. Yisheng is a joint venture between two private companies, Zhejiang Hengyi Group (浙江恒逸集團) and Zhejiang Rongshen Chemical Fibre Group (浙江榮盛化纖集團). All of the PTA output will be for its two shareholders which operate polyester facilities in Hangzhou. Furthermore, Yisheng has planned another same scale (530 kt/a) PTA project in Ningbo. The company is still awaiting the approval from the Chinese government for the second PTA project, and the second project is expected to start up at end-2006 or in early 2007. Established in October 1994, Zhejiang Hengyi Group Co., Ltd. is a large-scale industrial enterprise concentrating on polyester, filature and weaving manufacture, as well as R & D and trade. With total assets of RMB Yuan 1.5 billion, it covers an area of 530,000m2 and employs more than 3,000 staff. Besides processing 180,000T polyester yarns yearly, the Company annually manufactures 50,000T polyester chips, 300,000T melt direct textile polyester filaments and 70 million square meters garment fabrics of various kinds. Over 200 different brand-new fabrics are developed every year. Its annual import and export volume reaches USD 70 million. In 1998, the Company became the first company to pass ISO9002 quality certification in Xiaoshan's textile industry. In 2000, the Company was listed as the excellent unit in quality management. By sticking to the management idea of "depending on talents and survive through quality" and in the spirit of "making unswerving efforts to obtain further success", the Company encourages all the staff to strive for the long-range target of "letting China's long textile history re-glitter in our generation." Rongsheng Chemical Fiber Group Co., Ltd is a large-scale company, mainly engaging in the development, research and production of chemical fiber products, as well as real estate and trade etc. Since the establishment of company, it has been insisting on the way of specialized development. The parent company---Rongsheng Chemical Fiber Group Co., Ltd has the following subsidiaries, namely Zhejiang Rongxiang Chemical Fiber Co. Ltd., Zhejiang Rongsheng Chemical Technology Research and Development Co. Ltd., Zhejiang Rongsheng Trading Co., Ltd., Hangzhou Rongsheng Real Estate Co., Ltd. and Hangzhou Rongsheng Textile and Chemical Fiber Co., Ltd. etc. The Group occupies more than 1500 square meters, employs over 2000 people and has with total assets of 1.5 billion RMB Yuan and realized output value 2.0 billion Yuan in 2002. The group shares great human resources advantage. Employees with university educational background account for 10% in addition to those with master degrees. It also introduces engineers (or with equivalent professional title) and managerial talents form Taiwan to form a strong team for R&D and management. The group insists on sustainable development and the combination of manufacturing with R&D through the cooperation with Zhejiang Institute of Science and Technology (ZIST). It has established Zhejiang Rongsheng chemical fiber technology R&D Co. Ltd. that provides the company with strong ability of product, design and R&D. The group owns international advanced polymerization, spinning and texturing equipment, the total production capacity reaches 200,000 tons. The main products branded "RongXiang" are sold very well in domestic and oversea markets, and are awarded honors as "Zhejiang customer's satisfactory product" and "famous brand in Zhejiang". China's Yizheng Chemical Fibre Co plans to start up a PET-bottle grade chip plant in Yizheng by December and a polyester staple fiber and polyester film plant next year, a company source said Thursday. Yizheng plans to commission its 200,000 mt/yr solid-state polymerization plant which will produce bottle grade chips, by December, the source said. It also plans to start up a 100,000 mt/yr PSF plant and a 160,000 mt/yr polyester film grade facility in the second and third quarters of 2005 respectively. Yizheng is increasing its PET bottle-grade chip production to meet rising local demand, the source added. It is one of China's largest PET bottle-grade producers and the country's largest polyester fiber maker. Yizheng Chemical Fibre Co., Ltd.
Yizheng Chemical Fibre Co., Ltd. (hereinafter referred to as Yizheng Chemical) is a holding company of Sinopec Corp. and also the largest production base of chemical fibre and chemical material in China. According to its production capacity in 2001, Yizheng Chemical is the 4th largest polyester manufacturer in the world. Main equipment and technologies for PET and spinning was imported from Zimmer, AG in Germany and from Toyobo Co., Ltd. in Japan respectively. Phase 1 construction of the project was started in 1982, the first production unit was put into operation in Jan.1984, Phase 2 started in Jan.1985 and was completed in Oct.1990, resulting in PET production capacity of 500 thousand t/y. The total investment for Phase 3 is RMB3.67 billion, main equipment and technologies were imported respectively from countries as France, Germany, America, Japan and Italy. Phase 3 was started in Nov.1993 and completed in Sep.1995. Yizheng Chemical Fibre Co., Ltd. was registered on December 31, 1993 and listed 1 billion H-Stock shares, 2 billion A-Stock shares and 4 billion new H-Stock shares respectively in HK United Exchange Co., Ltd. and Shanghai Stock Exchange in March of 1994, January and April of 1995. Yizheng Chemical is mainly engaged in the produce and sales of polyester chips and polyester fibers and covers businesses in the produce and sales of chemical fibers and chemical products, the produce of auxiliary materials and textile machinery, the development of textile technology and technology service. Yizheng Chemical has introduced many advanced equipments and implemented many technological reform and innovation, thus our products had reached the internationally advanced textile technology at the end of 1990s and achieved ISO9001（2000）quality certificate. By that time, being a national important production base of chemical fibre and its raw materials and with a capacity of 1,000,000 t/y in PET products, including 540,000 t/y in PET fibres, and 350,000 t/y in PTA. Yingpeng Chemical Co., Ltd. China, a UK-owned venture located on the Land of Fluorspar - Yongkang, Zhejiang, China, is the only large enterprise in China that is specialized in the whole process of fluorite industry from fluorite mining to the manufacture, research, development, and marketing of fluoride chemicals. Our main products include fluorspar, fluorspar powder for hydrofluoric acid, anhydrous hydrogen fluoride, hydrofluoric acid, fluoride cryogen, industrial fluorides, fluoride pharmaceutical and pesticide intermediates, etc. As an ISO9002 registered company, all our products are produced in accordance with standard specifications. Our products have been marketed across China and exported to Europe, America, and Southeast Asia. Hong Kong based chemical company -- KingBoard Chemical has signed a agreement with Changshou Chemical Park of Chongqing（重慶） city. According to the agreement, KingBoard will invest about 205 million Dollars (1.7 billion Yuan) to construct a methanol facility. The proposed project will hold the capacity of 750 000 tonne/year. The project is planned to start construction in the beginning of 2005, and is scheduled to come on-stream in 2006. With the advantage of rich Natural Gas, Chongqing has attracted some investors. Mitsubishi Gas Chemical (MGC) associated with Chongqing Chemical & Pharmaceutical Holding Group, planned an 850 000 tonne/year methanol project. In Chongqing city, currently there is only one Methanol producer Sichuan Vinylon Plant (is owned by Sinopec), which has the capacity of about 240 000 tonne/year. KingBoard has started the kick off construction for the 450,000 tonne/year methanol project in Changshou Chemical Industry Park (CCIP) of Chongqing city in Mid-June of 2005. According to the source of this company, it is the first-Phase of investment of KingBoard. The investment for the 450, 000 tonne/year methanol project is about USD 84.5 million (RMB 700 million). The project is expected to come on-stream in late 2006. Industry medias earlier reported that Kingboard planed an methanol project with the capacity of 750,000 tonne/year in Chongqing; the project was planned to start construction in the beginning of 2005, and to come on-stream in 2006. While, Kingboard changed its earlier plan. According to the source, after the completion of 450,000 tonne/year methanol project, Kingboard maybe expand the capacity of methanol to 1350,000 tonne/year depend on the market situation. Beside the investment in Chongqing, KingBoard has also planned a 600 000 tonne/year Methanol project with CNOOC in Dongfang, Hainan province. The project is owned by CNOOC-KB Chemical (the joint venture is 60% owned by CNOOC Chemical and 40% by Kingboard). The Hainan project will start up in October 2006. Also in CCIP, Mitsubishi Gas Chemical (MGC) associated with Chongqing Chemical & Pharmaceutical Holding Group, planned an 850 000 tonne/year methanol project. The project is expected to be commissioned in late 2007 or in 2008. With the total investment of RMB7.5 billion, the 1 million t/a ethylene expansion project in Sinopec Maoming Petrochemical Company (MPC) carries forward rapidly in Maoming of Guangdong province, South China. By April 10th, 2006, 18 items of the 36 branch projects completed wet commissioning, which totally spent over RMB3 billion. Among which, the boiler coal-to-oil technologic renovation project started production on February 28th, 2006 and the 460 000 t/a aromatics unit expanded from 160 000 t/a effectively started production on March 31st, 2006 ahead of schedule. It is estimated that the 1 million t/a ethylene unit will start production in July and outlet qualified products in September 2006. It is released that the ethylene expansion project in MPC is the national key renovation project. The feasibility report was formally approved by the National Development and Reform Commission on October 13th, 2003. The expansion project started construction on December 15th, 2004. China's Sinopec Maoming has completed the construction of a 150,000 mt/year butadiene plant in Maoming, Guangdong, the firm said in its web site. Along with the cracker expansion, Maoming also built a new 220,000 mt/year swing HDPE/LLDPE plant and a 460,000 mt/year aromatics complex. In addition, the firm is slated to complete by June or July the construction of a 350,000 mt/year HDPE plant, a 300,000 mt/year PP plant and expansion of its ethylene capacity by 640,000 mt/year to 1 million mt/year. Sinopec Maoming is a subsidiary of China's state-owned oil and petrochemical company Sinopec. Gaoqiao Petrochemical Co. - a subsidiary of Sinopec - broke ground on its acrylonitrile styrene butadiene (ABS) and styrene butadiene rubber (SBR) projects on 18 December in Shanghai Chemical Industry Park (Caojing, Shanghai), a company source said. Total investment of two projects would cost 255 million USD (2.11 billion yuan). The SBR project, which with the capacity of 100 000 tonne/year, would cost 77 million USD; the ABS project, which with the capacity of 200 000 tonne/year, would cost 178 million USD. Both projects will be solely owned by Gaoqiao, and the ABS project will use the technology of Dow Chemical; while the SBR project will use the technology of Asahi Kasei. The ABS project is slated for mechanical completion in March 2006 and commercial production in June 2006. The SBR project is targeted to achieve mechanical completion at the end of 2005 and production in early 2006. Part of the feedstocks will be souced from Shanghai Secco Petrochemical Co which is building a 900 000 tonne/year cracker complex in Caojing. Secco¨s complex is scheduled to start commissioning in March 2005. Also, Gaoqiao Petrochemical has started commissioning its new 200 000 tonne/year phenol-acetone plant in SCIP. The company started feeding cumene feedstock to the plant on 18 December, and commercial production is expected to start at the end of December. Gaoqiao is importing cumene feedstock until propylene supplies are ready from Secco. At the present, Gaoqiao is producing a total of 160 000 tonne/year of phenol and acetone from two plants in Pudong, Shanghai. According to the source from the company, Gaoqiao is in talks with Mitsui Chemicals for a bisphenol A (BPA) facility, which would source its feedstock from the former¨s phenol-acetone project. China Petroleum & Chemical Corporation (Sinopec Corp.) plans to build the biggest domestic styrene-butadiene rubber (SBR) facility and the global biggest production capacity of ABS resin in single line with total investment of RMB 2.1 billion. The two projects will be managed by Gaoqiao Petrochemical Company. The SBR and ABS facilities are both downstream relating projects of 900 000 t/a ethylene in Shanghai SECCO Petrochemical Co Ltd. Meanwhile, the company began operations at a separate 100,000 mt/year styrene butadiene rubber unit ( in Gaoqiao 誤り) in early September, and has already begun producing on-spec material for sale in the spot market, the source said. *The SBR and ABS facilities are both downstream relating projects of 900 000 t/a ethylene in Shanghai SECCO Petrochemical Co Ltd.
Shanghai Gaoqiao Petrochemical Co. (Gaoqiao Petrochem), a subsidiary of Sinopec, has started up its 100 000 tonne/year SBR project at Shanghai Chemical Industry Park (SCIP), in Caojing, Shanghai. Gaoqiao Petrochem has started feeding feedstock into the unit, and could produce on-spec products by the end of July or early August, if it goes smoothly. The project was broken ground at the end of 2004; it took Gaoqiao Petrochem one year and a half to complete the construction. The project is based on Asahi Kasei technology, and the feedstock of SM/Butadiene are sourced from SECCO, which is running a 900 000 year ethylene complex in SCIP. SECCO's complex has 90 000 tonne/year Butadiene and SM 500 000 tonne/year SM capacity. Besides the new SBR project, Gaoqiao Petrochem also operates a 100 000 tonnes/year polybutadiene rubber (PBR) unit at Pudong, Shanghai. China imported about 284 kt SBR in 2004 and 234 kt SBR in 2005. The 200 000 tonne/year ABS project of Gaoqiao Petrochemical is under construction, and it is expected to start up by the end of 2006. On December 18, Shanghai Huayi (Group) Company (Huayi:上海華誼集団公司) laid the foundation for its fine chemical base in Shanghai Chemical Industry Park with the construction starting of three fine chemical projects. The 1 000 t/a polyvinylidene fluoride (PVDF:フッ化ビニリデン) and 100 t/a HFA（ヘキサフルオロアセトン）project of Shanghai 3F New Materials Co Ltd, （上海三愛富新材料）a subsidiary company of Huayi Group, drove the fist pile into the ground. The first phase of Tianyuan Group Huasheng Company（上海天原華勝化工: Tianyuan Group subordinated to Huayi)’s caustic soda and PVC project entered the all-round construction phase in the same day. On December 19, Shanghai Huayi Microelectronic Material Co Ltd, as another important fine chemical project, laid the foundation. The first phase of the PVDF (polyvinylidene fluoride) resin project recently put on stream in Shanghai 3F New Materials Co., Ltd, a subsidiary company of Huayi Group上海華誼集団公司. Located in Shanghai 3F Caojing Plant in Shanghai Chemical Industry Park, construction of the PVDF resin project was started on December 18th, 2004. With a design capacity of 1 000 t/a, the first-phase project include 200 t/a injection degrade products, 500 t/a coatings degrade products, 200 t/a adhesive degrade products and 100 t/a other products. Shanghai Huayi (Group) Company is a large-scale enterprise group established by re-organization of assets with the authority of the State Assets Administrative Committee of Shanghai Municipal People's Government. The Company commands more than 20 wholly-owned and share-holding branches including Shanghai Tianyuan (Group) Co., Ltd, Shanghai Tyre & Rubber (Group) Co., Ltd, Shanghai Coking & Chemical Corporation, Shanghai Wujing Chemical Co., Ltd.
Huayi (Group) Company has 11 design or research institutes, 2 national enterprise technological centers, 8 municipal enterprise technological centers and even post doctor scientific research stations. The number of products manufactured in the company amounts to about ten thousands under more than ten categories, covering fundamental chemicals, rubber and plastic products, chemical reagent, biochemicals, chemical equipment and others. Shanghai Huayi (Group) Company is the main stockholder of Shanghai Chemical Industry District Development Co., Ltd and Shanghai Pharmaceutical (Group) General Company. Three of its branch companies issue stocks on the market, among which two companies issue both A-and B-shares. Shanghai Huayi (Group) Company lays stress on introduction of foreign investment and strengthening of foreign cooperation. At present, it has already established over ten joint ventures and cooperative enterprises with many world-famous chemical companies including Du Pont, BASF, Bayer, ATOFINA and BOC. Moreover, the Company also owns several enterprises and joint ventures in Hong Kong, North America, Africa, South-East Asia and other foreign regions. Shanghai 3F New Materials Co., Ltd., a high-tech company listed in Shanghai Stock Exchange Center, is specialized in research and development, manufacture and marketing of fluoropolymers, fluorine-containing refrigerants and fine chemicals. 3F is a China-based company with its marketing and R&D centers in Shanghai and production bases in Shanghai and Changshu. As a leading manufacturer in China, 3F has been dedicating itself to the breakthrough of the manufacturing and application commercialization, creating classic and permanence. Shanghai Huayi Microelectronic Material Co., Ltd.
Dongsheng District Government in Erdos City, Inner Mongolia signed an agreement on construction of 1.0 million t/a methanol project with Huajian Energy Chemical Co Ltd located in Erdos on December 18, 2004. The project will be constructed in two phase with total investment of RMB 3.0 billion in Dongsheng District. Its production capacity in the first phase will be 400 000 t/a, and begin construction in August 2005. 600 000 t/a methanol will be set up in the second phase and start building in 2007. Dushanzi Petrochemical, a subsidiary of PetroChina, has got the final approval from the Chinese government for its 1m tonne/year cracker project in Dushanzi, Xinjiang. At the same time, the company has also got the approval for the plan to expand its 6m tonne/year refinery to 10m tonne/year. Dushanzi Petrochemical had targeted to start up the proposed cracker in 2007-08. But the date of start-up may be delayed as a cracker project would take at least three years to complete. The Dushanzi's project is in line with the target of PetroChina to increase ethylene production to at least 1m tonne/year in three sites -- Daqing City in Heilongjiang province大慶（黒龍江省）, Jilin City in Jinlin province吉林省, and Dushanzi in Xinjiang. PetroChina is building a crude-oil pipeline from Atas in Kazakhstan to Xinjiang in China, and the pipeline will be completed at the end of 2005. So, the cracker project was believed to own high priority to PetroChina, because it was linked to the crude-oil pipeline project. Integrated with the proposed project, some downstream facilities have also been planned. That include aromatics (with the capacities of 240 000 tonne/year of benzene, 130 000 tonne/year of toluene, and 70 000 tonne/year of mixed xylenes); HDPE (300 000 tonne/year); LDPE (600 000 tonne/year); PP (550 000 tonne/year); SM (320 000 tonne/year); PS (130 000 tonne/year), and SBS (88 000 tonne/year). At the present, Dushanzi Petrochemical is operating a 220 000 tonne/year cracker at the same site. On August 22, 2005, Dushanzi Petrochemical Company-a subsidiary of PetroChina- started construction for its refinery and ethylene expansion projects in Dushanzi, Xinjiang Autonomous Region. The expansion projects include refinery and ethylene facilities. After the expansion, Dushanzi will have a crude oil processing capacity of 10 million tonne/year, up from the current six million tons; and will have ethylene capacity of 1.2 million tonne/year, up from current 220,000 tonne/year. Total costs for the construction of expansion projects will be USD 3.23 billion (RMB 26.2 billion). The refinery expansion project is expected to complete by 2007, while the ethylene expansion project is expected to complete by 2008. Most of crude oil for the Dushanzi refinery will be sourced from Kazakhstan through a 1,200- kilometre cross-border pipeline. Construction of the Sino-Kazak oil pipeline started last September. When the first phase is completed by the end of this year, the pipeline will be able to supply 10 million tonne/year of crude oil to Dushanzi; Furthermore, after the completion of the second phase is completed, the capacity of this pipeline will be double to 20 million tonne/year. A 100 000 t/a ionic membrane caustic soda project and 35 000 t/a chlorinated paraffin project, as the first phase of Ningbo Zhenyang Chemical Development Co Ltd's plan, recently started construction in Ningbo Chemical Industry Park. Wacker-Chemie GmbH and Dow Corning Corp., have finalized the master agreement for their planned Asian joint ventures to produce silicone intermediates and fumed silica in the Shanghai area. According to the agreement that has been approved by both Boards of Directors, the partners intend to build a world-scale production complex for siloxane and fumed-silica. The joint ventures will involve capital expenditures totaling several hundred million dollars. Construction work is scheduled to start immediately upon issuing of the necessary licenses by the Chinese authorities. The Guangzhou branch of Sinopec operates a refining and petrochemical complex in the Huangpu district of Guangzhou, the provincial capital of Guangdong. The complex centers around a refinery with 7.7-mil mt/yr (154,000 b/d) of crude processing capacity and a naphtha cracker with 200,000mt/yr of ethylene output capacity. The blueprint of SGC and its parent Sinopec is to ultimately lift SGC's refining capacity to 18-mil mt/yr and ethylene output capacity to 800,000mt/yr. Zhejiang Yisheng Chemical(浙江逸盛化学) is on schedule to start feeding its new 530 000 tonne/year PTA plant in Ningbo, Zhejiang, with feedstock at the end of this week. The production was expected to begin this weekend or in early March. This is in line with the company's original plan. Zhejiang Yisheng Chemical Company is a joint venture between two privately owned local companies, Zhejiang Hengyi Group (浙江恒逸集團) and Zhejiang Rongsheng Chemical Fibre Group (浙江榮盛化纖集團). The cpmpany was taken 22 months to complete building the PTA plant. The new plant, based on Invista's technology, will have a maximum PTA capacity of up to 600 000 tonne/year. All of the PTA output would be supplied to its two shareholders which operate polyester facilities in Hangzhou. China imported 3.1 Mt PTA in 2001, 4.3 Mt PTA in 2002 and 4.55 Mt in 2003. China’s imports of PTA in 2004 reached 5.7 Mt, up approximately 24% over 2003. Industrial analysts think that PTA imports would ease in 2005 in some degree, because of the start-ups of two PTA plants in China. The one is the Yisheng Chemical’s 530 000 tonne/year project in Ningbo, Zhejiang; the another is the project of Zhejiang Hualian Sunshine Petrochemical (浙江華聯サンシャイン石化), it has targeted to start up its 600 000 tonne/year project in Shaoxing, Zhejiang, in March or April 2005. Shanghai Petrochemical Co (SPC), a subsidiary of Sinopec, commissioned its newly completed 8m tonne/year refinery in Jinshan, Shanghai, on Feb. 22. The total capacities of SPC reached 14m tonne/year; and it becomes the second largest refiner in China, just under the ZRCC (16m tonne/year). The new refinery, which was taken SPC more than 1 year to complete and with total costs of 46.8 million USD (388 million CNY), is to replace the SPC¨s existing No 1 refinery (2.8m tonne/year). SPC also operates a No 2 cracker (6m tonne/year) with an ethylene capacity of 700 000 tonne/year. The company¨s No 2 refinery is located at the same site as the new refinery. SPC plans to use the added naphtha output from the new refinery to feed its proposed cracker. It plans to build a 500 000-600 000 tonne/year cracker to replace its existing 150 000 tonne/year No 1 cracker, while the proposed cracker project has yet to be approved by the Chinese government yet. At the present, SPC is not likely to run both of its No2 and No3 refineries at their designated combined capacity of 14m tonne/year, because the downstream projects are under planning and preparing. SPC now produces a total of 850 000 tonne/year of ethylene from two crackers in Jinshan. One is a 700 000 tonne/year unit; another is 150 000 tonne/year unit. SPC imports more than 90% of its crude oil, with 50% of it sourced from the Middle East. Guangzhou Fengye PE Pipe Industrial Co., Ltd. will formally produce PE pipes in March this year. The company will produce mainly the following: PE water supply pipe, PE fuel gas pipe, PE steel skeleton reinforced spiral double wall corrugated pipe, PE double corrugated pipe. The capacity of the first stage project will reach 30 000t/a. China's government has enlisted a consulting organization to conduct additional tests to determine whether acrylonitrile (ACN) should be categorized as a "hyper toxic" chemical; and whether the transportation ban of ACN in Yangtze River should be extended, according to the industry sources. Two of these tests for ACN have been already completed; while the third and last test has yet to be completed. Once the third test has been finished, the China!￣s government will conduct an environmental impact report on the chemical product. If the report is positive for the ACN suppliers; that mean China's government maybe ease the ACN Transportation Ban in Yangtze River. For the environmental concerns, The Chinese government has banned shipments of acrylonitrile (ACN) via the Yangtze River with effect since 1 June, 2004, and imposed a $10/tonne surcharge for ground transportation of ACN. Taiwanese ABS producers operating in China, such as Chi Mei and Grand Pacific Petrochemical Corp (GPPC), have been the most affected by the transport ban and have incurred higher costs. The two Taiwanese ABS producers and some suppliers of ACN to China have been lobbying with the Chinese government for a lifting of the ban since last year. They contend that the transportation of hazardous chemical by ground route is more dangerous than by waterways. Guizhou Chitianhua Group Co., Ltd. (貴州赤天化股フェン有限公司) and Guizhou Hongfu Industry Development Co., Ltd. signed agreement in Guiyang (貴陽), a few days ago, for jointly constructing the project of 300 000 t/a synthetic ammonia and of 300 000 t/a urea. The anticipated construction cycle of the project is two years, with a total investment of RMB2.5 billion and the Chitianhua Group Co., Ltd. as the holding company. On February 22 China National Blue Star Corp. and SKC Company of Korea held a signing ceremony for the letter of cooperative intent on the establishment of strategic league for PU (polyurethane). The two parties would make cooperation on PU development in a form of strategic league for mutual benefit and promote cooperation on the potential PU business in Asian area, reinforce the respective leading position in the chemical industry in Asian area. Presently the world's PU industry has been gaining speedy development it has kept at a 6% growth rate for the past five years, becoming the fastest growth one among the chemical industry. Blue Star has currently had capacities of 30 000 t/a of TDI, 80 000 t/a of propylene oxide, 140 000 t/a of polyether-polyols and 10 000 t/a of PU. Cooperation with SKC means Blue Star will entirely get involved in PU business and form its own PU industrial chains. BP and Sinopec announced today in Beijing that they had signed a joint venture contract to build a 500,000 tonne per year acetic acid plant in Nanjing, Jiangsu province. Located in Nanjing, at the heart of the Yangtzi Delta - one of the most dynamic regions in economic development in China, this world-scale joint venture is expected to be on stream in the second half of 2007. The plant will incorporate BP’s world leading CATIVAR technology and the equity split between BP and Sinopec is 50:50. The Sinopec investment will take place through the Yangtzi Petrochemical Company, a majority owned Sinopec Corporation subsidiary. BP and Sinopec announced on 10th May 2004 that they had signed a heads of agreement in London for the joint venture in Nanjing, during the Chinese Premier Wen Jiao Bao's visit to the UK. The Nanjing plant will become part of BP’s high growth acetyls and aromatics petrochemicals business, retained in BP’s Refining and Marketing business segment. Acetic acid is used as an intermediate in a wide range of products including fibres, paints, adhesives, pharmaceuticals and printing inks. The plant will use methanol and carbon monoxide as a feedstock. BP and Sinopec already operate the YARACO acetic acid joint venture in Chongqing, China. This plant’s capacity is currently being expanded from 200,000 to 350,000 tonnes per annum. The investment in Nanjing will consolidate BP and Sinopec’s leadership position in China’s acetic acid market. On November 3, 2005, Sinopec Corp. and BP held a ceremony at The Diaoyutai State Guest House today to celebrate the establishment of BP YPC Acetyls Company (Nanjing) Ltd., an acetic acid joint venture between BP and Sinopec Corp.. At the ceremony, Lord Browne, Group Chief Executive of BP and Chen Tong Hai, Sinopec Corp. Chairman, unveiled the plague for the Joint Venture Company. Sinopec Corp. and BP announced on 10th May 2004 that they had signed a heads of agreement in London for the joint venture in Nanjing, during the Chinese Premier Wen Jiao Bao's visit to the UK. In March 2005, the two companies signed the joint venture contract. Besides the new acetic acid joint venture in Nanjing, Sinopec Corp. and BP already operate the YARACO acetic acid joint venture in Chongqing, China. This plant’s capacity is currently being expanded from 200,000 to 350,000 tonnes per annum. On March 23rd, 2007 Sinopec Yangzi Petrochemical Co., Ltd. (YPC) and BP Corporation of the UK held the ground breaking ceremony and announced the formal start of the 500 thousand t/a acetic acid project in Nanjing, Jiangsu province of eastern China. This joint venture project is jointly invested by BP and YPC, among which the latter is a subsidiary of Sinopec. Two parties both hold a 50% share. With methanol and carbon monoxide as the raw materials, the newly built unit will adopt the world's leading patent carbonyl-to-acetic acid technology provided by BP. The technology has the advantages of high selectivity, high reaction rate, fewer by-products and low energy consumption. The project is planned to be put into commercial operation in the first half of 2009. Recently, BP and Sinopec have revealed the name of their jv as BP YPC Acetyls Company, to build an acetic acid project in Nanjing, Jiangsu Province. To be based on BP¨s Cativa technology, the 50:50 jv will has acetic acid capacity of 500,000 t/a and located in Nanjing Chemical Industry Park (NCIP). At the same site, Celanese, another acetic acid major, also planned a world scale project with acetic acid capacity of 600,000 t/a. The Acetic acid projects of BP-YPC and Celanese compare as below. *The supplier of methanol and CO to BP is not known. But industrial sources revealed that Wison has the plan to build another 300,000 methanol project in the same site depending on the demands in NCIP in the future. Both BP and Celanese would use their respective leading acetic acid technology. Methanol and carbon monoxide would be feedstock for their projects in Nanjing. As to feedstock, Celanese has signed a long-term agreement with Wison to secure the feedstock supply. Wison has planned a 300,000 t/a methanol and 300,000 t/a CO project in NCIP. BP will source its feedstock from market. In 2004, China imported 525,000 tonne acetic acid. In general, China¨s acetic acid market would shift from shortage to oversupply with the two projects start-up in 2007, unless some China domestic high cost acetylene-based plants to be closed. Both BP and Celanese have acetic acid project in other Asia countries, such as Celanese in Singapore, and BP in Malaysia and S. Korea, whatever, the start-up of these two projects in Nanjing would change the current supply-demand balance in china and even in Asia area. Developed in-house for the BP acetic acid carbonylation process, Cativa offers high selectivity, high reaction rates and reduced by-products. It is capable of retrofitting to existing plants and also offers significant advantages for new builds. High catalyst solubility limits and a greater stability allow a wider operating range, particularly the use of low water concentrations. The BP Amoco Cativa process uses methanol carbonylation with carbon monoxide at low pressure and temperature. It is the only commercial large-scale methanol-based process which has been successfully licensed. It was developed by BP Amoco from Monsanto’s rhodium-based process which was acquired by BP Amoco in the mid-1980s. Celanese's AO Plus technology uses carbon monoxide and methanol which are synthesised from gaseous methane. Rhodium and iodide are used as catalysts. The reaction to produce acetic acid is very fast. Celanese Corporation today announced the signing of a long-term contract for the supply of carbon monoxide (CO) to its 600,000 metric ton acetic acid plant now under construction in the Nanjing Chemical Industry Park, Nanjing City, in eastern China (Jiangsu Province). CO is a key raw material in the production of acetic acid. Details of the contract were not disclosed. The supplier, WISON (Nanjing) Chemical Company, Ltd., will build its plant in the Nanjing Chemical Industry Park to produce CO and methanol using a clean-burning coal gasification process. WISON will sell the methanol into the merchant market. The CO/methanol facility is slated to be ready for production in late 2006 or early 2007 and will be managed by a team of experienced operators that have been recruited by WISON. As previously announced, Celanese has completed the substantial portion of its engineering work for the facility, ordered the reactor and other long lead-time equipment, signed a terminal and logistical services contract, and secured a natural gas-based CO source. The facility project is funded by equity and bank financing secured from the Bank of China. The operator of Methanol and CO project in NCIP is Wison (惠生) (Nanjing) Chemical Company, which is a wholly owned subsidiary of Hong Kong based Wison Group Holding Limited. Wison Group has 4 subsidiaries in China, include Wison (Shanghai) Chemical Engineering Co., Wison (Nanjing) Chemical Co., Wison Nantong Heavy Industry Co. and Wison Biology Co.
BTW, Wison (Nanjing) Chemical Company will use coal as the feedstock with the Texaco Coal Gasification technology. It is so called as "cleaning and environment-friendly". There are two Industrial Gas companies invested in NCIP, BOC and Air Products. BOC would be the natural gas-based CO supplier for Celanese; and Air Products would supply onsite gases oxygen and nitrogen to Wison’s carbon monoxide (CO) and methanol plant. On 30 November, Yangtze River Acetyls Co (Yaraco), a jv between BP Chemicals and Sinopec, has completed the expansion of acetic acid project by 150,000 t/a in Chongqing. Yaraco's project used BP¨s Cativa acetic acid technology. Total investment for the expansion is RMB 1.2 billion (USD 148 million). After the expansion, the acetic acid capacity of Yaraco rose from 200,000 t/a to 350,000 t/a. The most of acetic acid outputs would be sale to Eastern China and Southern China markets, and the rest would supply to Sinopec Sichuan Vinylon plant in Chongqing. Yaraco produced 214,000 tonne acetic acid in 2004, accounted for 19% of t! otal outputs in China. Besides Yaraco, BP and Sinopec also planned a world scale acetic acid in Nanjing. China imported 200,000 tonne acetic acid in 2001, 350,000 tonne in 2002 and 500,000 tonne in 2003. China produced 1150,000 tonne acetic acid and imported 525,000 tonne in 2004. China's Shenhua Chemical plans to delay the start-up of its new styrene butadiene rubber line in Nantong to June due to high butadiene cost, a company source said Thursday. Shenhua originally planned to start up its new 50,000mt/yr SBR line in April, bringing its total SBR nameplate capacity to 170,000mt/yr. Shen Hua Chemical Industrial Company Limited is located at Nantong Economic & Technological Development Zone, Nantong ,Jiangsu, PRC. It is a joint venture among Polybus Pte Limited ( a subsidiary of TSRC Corporation), Marubeni Corporation and Nantong Petro-Chemical Corporation. Total investment was almost US$100 million, which covered the construction of an SBR (Styrene Butadiene Rubber) plant together with a jetty and tank farm. The construction started from February 1997 and was completed in August 1998. Construction on Taiwan Synthetic Rubber (Jinan) Industry Co., Ltd. fully funded by Taiwan Syntheic Rubber Corp. was recently started in Jinan, Shandong province. It is the sixth subsidiary established by TSRC in China mainland. The plant will be completed and put on stream in July 2007. Taiwan Syntheic Rubber (Jinan) Industry Co., Ltd. has a total investment of US$4.5 million and occupies an area of 2.8 hectares. After its completion, the new company can produce 10 000 tons of thermoplastic elastomers a year and the annual sales revenue is expected to reach US$20 million. Sichuan 800 000 t/a ethylene project feasibility study report was jointly handed by PetroChina and Sichuan province to the State Development and Reform Commission, and was formally listed in the long-term development schedule of China's ethylene industry with its environmental assessment report having passed the appraisal of the State Environmental Protection Administration of China. The location, raw materials and dynamic power have been settled down so that the construction is expected to start this year. This is the largest investment project in western China since the government decided to develop the region. It will therefore promote the development of many local related sectors such as chemical, light industry and textile. It was disclosed that PetroChina Lanzhou Petrochemical Company and PetroChina's 5 million t/a refining project in Changqing Petrochemical Company, which is under construction presently, would jointly supply the ethylene project with cracking feedstock. Chengdu成都市 Pengzhou彭州市, in Sichuan province in southwestern China, which has good conditions in water, electricity, transportation and other public facilities, is the first selected site for the project.